If you've been following along on my page for awhile now, you know that Down syndrome awareness and advocacy are two topics very close to my heart that I share about often on my social media and website. You can read more about the beautiful stories & smiling faces that I've been fortunate enough to capture over the past six months here through our ongoing photo series celebrating children with Down syndrome. Meeting these families, listening to their stories, celebrating their children, capturing their true personalities, and hearing the ways in which their photos have impacted YOUR LIVES has made this such a meaningful project for me, and one that I am proud to continue sharing each month. When the opportunity arose to organize photo sessions for children in the Albany area with Down syndrome, I was excited and honored to have the chance to meet so many more inspiring families. This time, I approached our photo series with a new mission in mind. 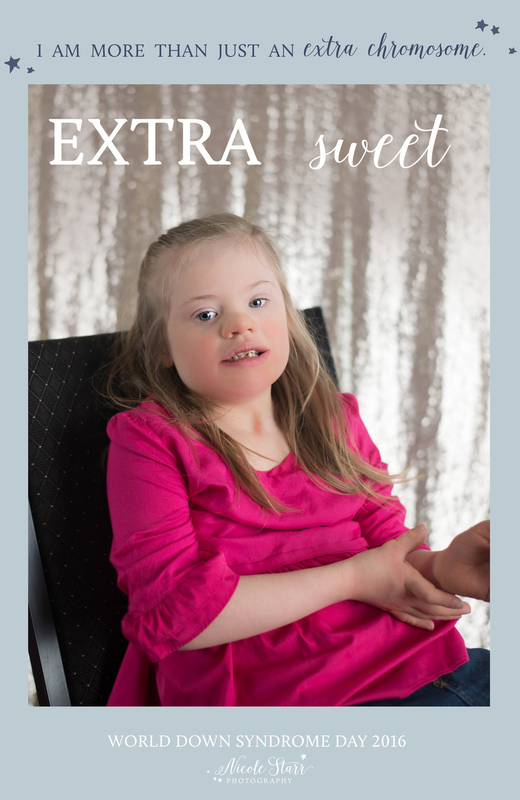 So often in stories that focus on these amazing individuals, the word "extra" is often followed by "chromosome". But there is so much more to these incredible people than just a tiny piece of DNA! They are more than just an extra chromosome. They are extra silly, extra brave, extra smart, extra charming, extra chosen...... extra everything! 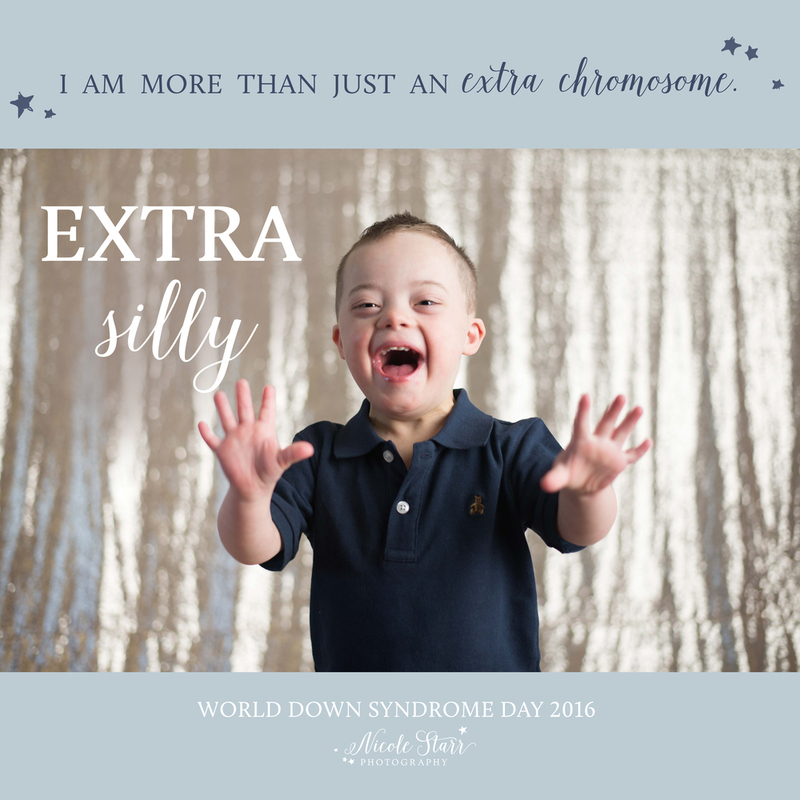 I hope you'll enjoy their beautiful stories and their smiling faces, and remember to take a moment today to do an extra good deed for someone in honor of World Down Syndrome Day. Want to take it a step further? Evan's 9 year old sister, Ella, wrote this touching story about her brother for us to share in honor of World Down Syndrome Day. I love the love! It's so true when they say if you want to know how to treat a child with Down syndrome, just watch to see how their siblings treat them... just like everyone else! This is the sweetest. Below, these three beautiful sisters have so much personality: Autumn, Masha & Summer. "Reese is our 7 year old princess. She loves anything purple, pink and sparkly. She also loves music, swimming and dancing. Anyone who has spent any significant amount of time with Reese has told me that she has impacted their life in some way. Her smile and her hugs bring joy to everyone that she meets. "We received Lukas' diagnosis at birth and it was a huge surprise. There were so many emotions surrounding it all but the one that stuck out the most after my love for him was fear. Fear of raising a child with a disability that I felt unprepared for, fear of Down Syndrome and not knowing what it truly meant, fear of how he would be perceived and treated in his life, and mostly fear of the unknown. "Oscar is a sweetheart. He loves to be cuddled more then anything else. He has been through a lot in his short life. More than we will ever know. He was found abandoned in North western China approximately 2 weeks after he was born. Most likely because he was born with Down syndrome. We came across his name on an adoption advocacy group page. The agency had chosen the name Oscar and since we already had an Oliver and thought that was cute I decided to click on it. All the children listed had various disabilities, but Oscar happened to also have Down syndrome like our Oliver. And his birth month and year were the same too! It just seemed so meant to be. As a family we decided to do it and signed a commitment letter the next day. 8 months later we went to China and brought him back home to New York. Finally, a very special THANK YOU to our friends at Buckingham Confectionary in Malta, NY for donating these delicious treats in blue & yellow to all of the families that came to our photo sessions for the #WDSD16 photo shoot! 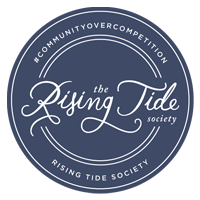 We truly appreciate your generosity, and thank you for supporting our cause!